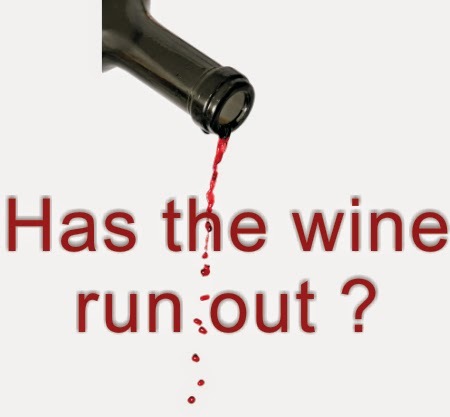 The monsoons have been delayed and people are beginning to panic. If the rains get delayed further, what do you think will happen? What if it is delayed for 1 month, 3 months, 6 months , 1 year? In Israel they had no rain for 3.5 years. The King went around looking for water. It was desperate. We’ll look at an Old Testament Story. (Rom15:4) They were written for a purpose. What happened in 900BC was written so that we will be encouraged and have hope. Elijah is introduced out of the blue. Elijah prophecies that there will be no rain till he says o. Ahab realized that as the rain didn’t come after 2 years and he is very upset. The background to this story is this – During the rule of King David there was peace in the land. Then King Solomon came on the throne and things were still ok. It’s after Solomon that the kingdom split into Israel and Judah. They were on the decline. Ahab was king of the north (1Kings 16:31). He worshipped Baal. He married Jezebel who brought all her idols along with her and the whole nation is affected. The Bible records him as the most evil man that ever lived. Obadiah and Ahab are looking for water. Elijah is hiding by a brook (the irony) and was being fed by ravens. When the brook dries up God send him to this widows house that has nothing but a little flour and oil. An amazing miracle happens- the jar of oil and flour never runs out till the rain comes. Elijah now wants to meet Ahab (18:16). Verse 18 Elijah speaks up to the King who worshipped Baal and Ashtoreth – the Gods of immorality, of lightening, thunder and rain!!! Elijah challenges Ahab and Jezebel 400 prophets of Baal. Be careful whom you marry. Ahab brings the 400 prophets to Mt Carmel and the people come too. V21 the people are expectant. Elijah rebukes the people for wavering in their faith but they said nothing! Israel’s started off well but now they were indifferent to Elijah’s rebuke. You can’t have your legs in tow boats. It will destroy you. V25 So the sacrifice is prepared and they called on the name of Baal the whole day. They danced in frenzy. Elijah taunts them. Evening came and nothing happened. Elijah showed the people that these idols could do nothing. V32 In the evening Elijah repaired the altar of the Lord. /he put 12 stones on them. He reminded them who they are. They forgot their identity and destiny. God called them Israel i.e. Prince with God. Then he digs a trench around the altar big enough to hold 15 liters of water. He puts water on the wooed and sacrifices. They did this 3 times and the trench was full (imagine doing that in a time of severe drought!) Elijah is making sure that when the fire comes it has to be a super natural event. V36 Elijah prayer “ God of Abraham, Isaac and Israel” ( not Jacob). He was in tune with God – he was doing God’s bidding. And fire fell from heaven and it burnt the wood, offering, trench and stones. V39 the people whose hearts were luke-warm we now warmed again. The prophets of Baal were killed. This is a true story. No matter how technologically advanced we are we still need God to send the rain. He is almighty. God was showing his people you need to depend on me. God will do what he wants to do to get his people in line ( Heb 12:7)He loves his people. Elijah placed a challenge before the people i.e God or Baal. 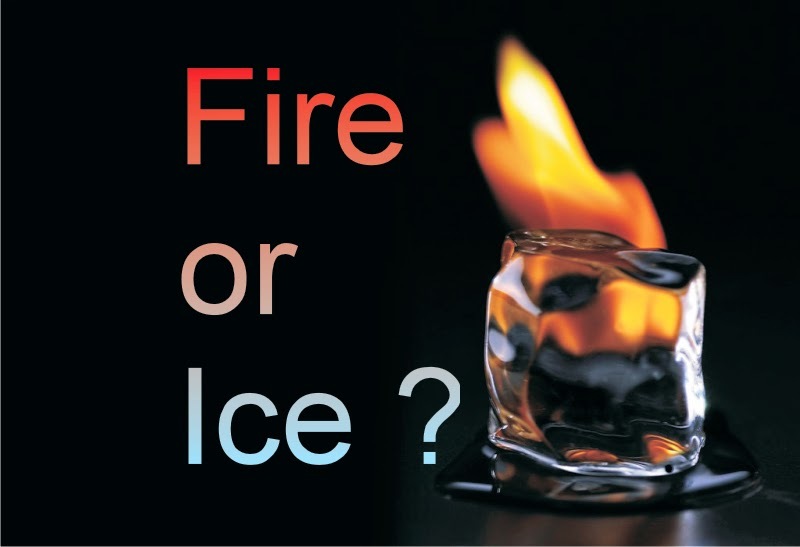 We need to check ourselves – are we on fire like ?Elijah or have we gone cold as ice like Israel who were distracted with other things and think that all is well because we have material prosperity? That is dangerous. Are we passionate about the kingdom? Let the Holy Spirit examine our hearts. We can miss out on what God has for us. James 5:17-18 tells us that Elijah was a man just like us. Our prayers can be powerful and effective. If we pray God can do amazing things. Our hope is in God. We need to test our hearts and there is power in prayer. As we do this we will see the power of God poured out on our nation. There are 2 religions in the world. First one says, do and the second one says, done! Which one do you follow? Why did God save you? Why you and not someone else?Is it because you are better, smarter, etc? When these thoughts come, shoot it down. We are here because He had mercy and unconditional love. But when we look at God’s word, we see that He chooses all kinds of people to demonstrate His grace. Q. What does the grace of God really mean? This story is of a man who was part of a murderous gang who actually murdered someone. Last week, we saw Stephen’s life and how these people killed him. We begin today, the story from Acts 7:58 “Meanwhile, the witnesses laid their clothes at the feet of a young man named Saul.” This frenzied mob killed Stephen who forgave them for what they did.This is the power of the Christian gospel. We can pray- do not hold anything against these people. The early Christians were martyred by being fed to the lions, burnt at the stakes, and all kinds of gruesome acts of torture and murder. But the Roman Emperor realized that nothing was changing them. Acts 8:1- the church was scattered. Only the Apostles were left in Jerusalem. We see the hand of God even in the persecution. They went out to Judea, Samaria and to the ends of the earth. Acts 9:1- Saul was breathing murderous threats and was arresting the Christians. He was against the Christians. He seemed like a hopeless case. There are a lot of people like that. But God is in control. Saul was on the way to Damascus when he encountered Jesus in a bright light saying, “Why are you persecuting me?” When you touch the body of Christ, you touch the creator. That’s our security and assurance- that we belong to Christ’s body. God said that this man is my chosen instrument- for taking His word to the gentiles, their kings and before the people of Israel- Acts 9:15- 16. The moment Ananias prayed over him, and something like scales fell off his eyes. At this point, Saul did not eat or drink anything for 3 days. What would you do in that situation? But Saul got up and was first baptized. Then he ate and regained his strength. And what did he do next? Acts 9: 20- “At once he began to preach in the synagogues that Jesus is the Son of God”. People who heard him were astonished that someone who persecuted Christians is now preaching the gospel that Jesus is the Christ. No matter how big is our sin, no matter how much we’ve done, Jesus’ blood is more powerful. He can forgive us and make us new people. That’s the power of His blood. The response of John Newton to God’s grace- the song Amazing grace how sweet the sound that saved a wretch like me. Even when we sin grievously, God is able to save and change. God is much bigger than your sin and has the power to cleanse every sin. Either we pay for our sins in hell forever, or we accept Jesus’ sacrifice as payment for our sin. There are 2 religions in the world. First one says, do and the second one says, done! All religions in the world come under the first one. Jesus’ followers follow the second one. This says, you can’t do anything and all your works are filthy, dirty rags, it is contaminated with sin and a Holy God can’t accept it. But Jesus is God who loved us so much that he came to the earth and lived a sinless life and died on the cross and rose again from the dead! It is finished on the cross and what he wants us to do is to look at him and believe. When we do this, an encounter with God happens that brings about transformation. 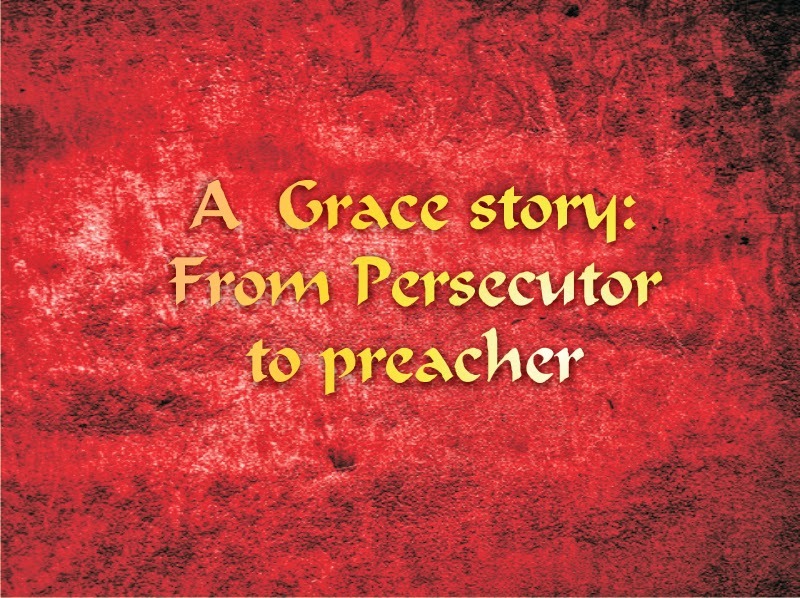 Saul became from a persecutor to preacher of the Christian faith. God’s grace is Big! So what did Saul do after being saved? 1. The first thing mentioned about Saul after being saved is that he was praying. Once we believe in Jesus, we are no longer in a religion but a relationship and relationships thrive on communication. Prayer is our communication. 2. The second this is that he was filled with the Holy Spirit. We need more of the Spirit in our lives. 3. He was baptized! Baptism in water is a sign that you are truly saved where you declare to the powers and principalities, to your family, and everyone else that you follow Jesus. 4. He wasn’t a lone ranger- He spent several days with the disciples in Damascus. He attached himself to a family of believers. It’s so important that we belong to a local expression of the body of Christ. He joined the other believers with humility. 5. The next thing was that he started preaching. He did not take his salvation for granted. His focus was on advancing the kingdom. In 1 Timothy 1:15 Paul writing to Timothy says this- “Here is a trustworthy saying that deserves full acceptance: Christ Jesus came into the world to save sinners- of whom I am the worst.” Paul acknowledged that he is a sinner. He was one of the main apostles. But Paul’s life was an example for us. God has saved us for a purpose. All around us, people don’t know right from wrong and follow all kinds of teaching. We are not superior to anyone else. We’ve been chosen because God had mercy on us. So the gospel needs to be preached. Once we die or they do, it’s too late. As we look at this portrait of grace in Paul’s life. It’s His grace working in us. We are not comparing or competing with one another. His grace is demonstrated in our lives. There is a needy world out there, so it is my prayer that each one of us becomes a pro claimer of the Gospel. Its good to know where are heading as a company of people. We often use the word Church very loosely. Church is a company of people and not a building. In Acts 1 Jesus appears to his disciples. He wore the Victors crown. Verse3 – He appeared to them for 40 days. Jesus gave the one command to wait in Jerusalem for the promised Holy Spirit. Verse14 There were 120 people who gathered together for prayer. 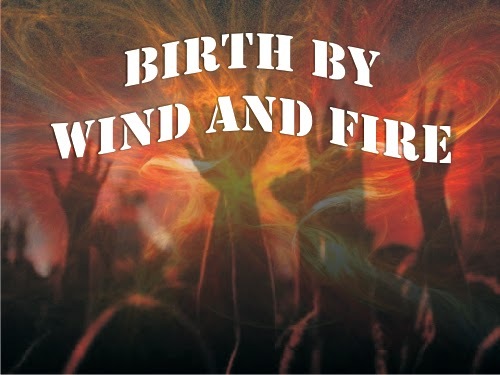 Chapter 2:1-2 suddenly a violent wind blew and tongues of fire fell upon 120 people and the church was birthed. Verse14. Then Peter stand up and explains what is happening from the book of Joel. So what do we learn from here? This is the blueprint of the early church. 1. As a church we are called to be a people of the Spirit. On that day 3000 were saved!!! Ephesians 5 encourages us to be filled with the gifts of the Holy spirit. Jesus said apart from me you can do nothing. Jesus was filled and was led by the Spirit he healed the people. Without God’s Spirit we can’t do anything. We need more and more of his spirit. As the spirit was poured out great things happen- miraculous signs and wonders took place. 2. We need to be a people of the WORD. Peter stood up and quoted Joel. Acts 2:42- devoted to the Apostles teaching. We need to feed on the word of God. It is crucial to our Spiritual growth. 1Peter 1:23For you have been born again, not of perishable seed, but of imperishable, through the living and enduring word of God. We are born again through the Word of God and we live by the Word that proceeds from the mouth of God. Do you have a regular quiet time? Do you have a reading plan? We need to meet Jesus on a regular basis. We take other opportunities to feed ourselves. We have arranged Solid Food, IDT etc for you. The Sunday preaching of half an hour a week is not enough to nourish your spirit. You have a responsibility to feed yourself. So we need to be people of the word and the Spirit. 3. Prayer – The early church were a prayerful people. We have so much going on, on social apps but no time for prayer. Acts4:31- while they were praying they were filled with the Holy Spirit and they spoke boldly. Is prayer a priority in our lives? 4. Fellowship – They were a people of fellowship, partnership and relationship. Christianity is a religion of relationship with god and with one another. We become brothers and sisters. It is a supernatural bond. Verse 46 tells us that they devoted themselves – they met every day!!! They ate, prayed, and broke bread. Take every opportunity to grow in fellowship. Let’s grow in hospitality and opening up our homes. We share life together. It’s also partnering together in the purposes of God. At the end of the day we want to see the kingdom advance. So it’s not a focus on ourselves but to see how we can do what God has called us to do. Each one of us has a role to play. God has given us gifts, the Word of God, one another and the Holy Spirit. V44. They shared. They helped each other. As you meet and eat you will realize that people have needs and God will use you to care and share. So let’s be full of the spirit and the Word, committed to fellowship and one another. As we do this you will grow and the church will grow.